Monday suits, Sunday jeans, and everything in between. Shown with a new collection of custom-fit styles. Click each outfit below to learn more. 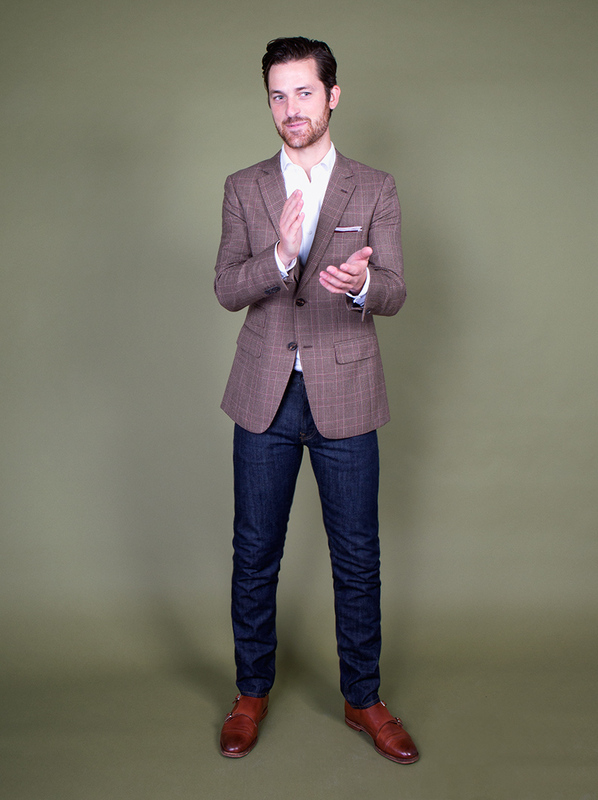 A sport coat is a patterned jacket that’s equal parts dressy and casual. Warm and versatile, this wardrobe staple is popular during transitional fall weather. wardrobe staple. 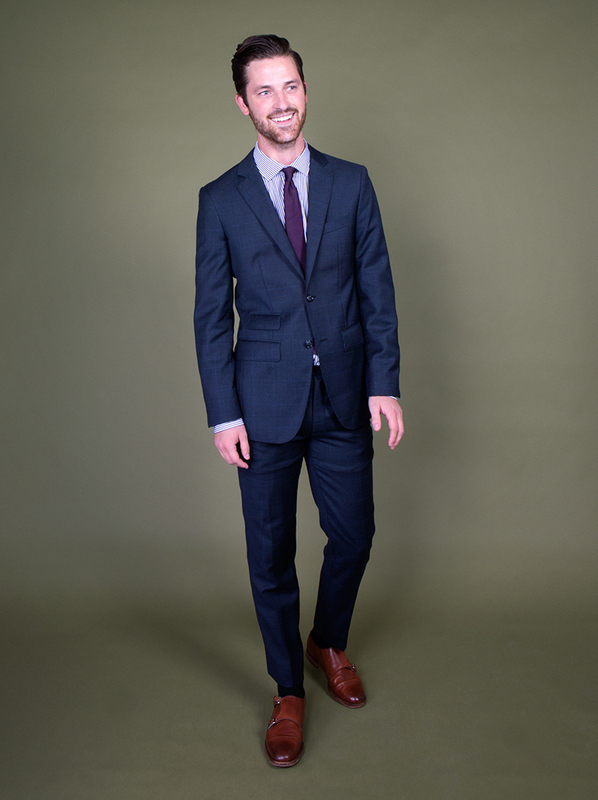 Wear it just like a classic navy suit. your jacket and complements your shirt and tie. Already been fitted at Blank Label? Browse the items above to order in your personal size. 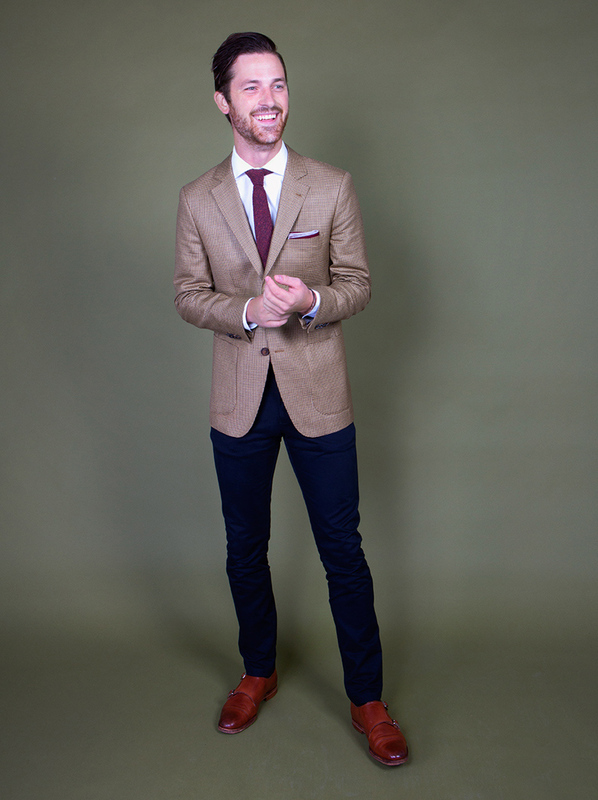 A brown sport coat is incredibly versatile - it goes with almost any outfit. Because the coat’s houndstooth pattern has undertones of grey and red, a dark pair of chinos and burgundy accessories look especially sharp. Yes, you can wear your plaid shirt with a suit. Make sure that the shirt fabric is a dressy material - not a casual flannel. Wear it with a suit in a medium, textured grey and accessories that bring out the plaid’s colors. Here, a forest green tie and pocket square pull it all together. Believe it or not, every man can pull off a dark purple tie. It looks classic when worn with a striped shirt that accents the color of the tie. 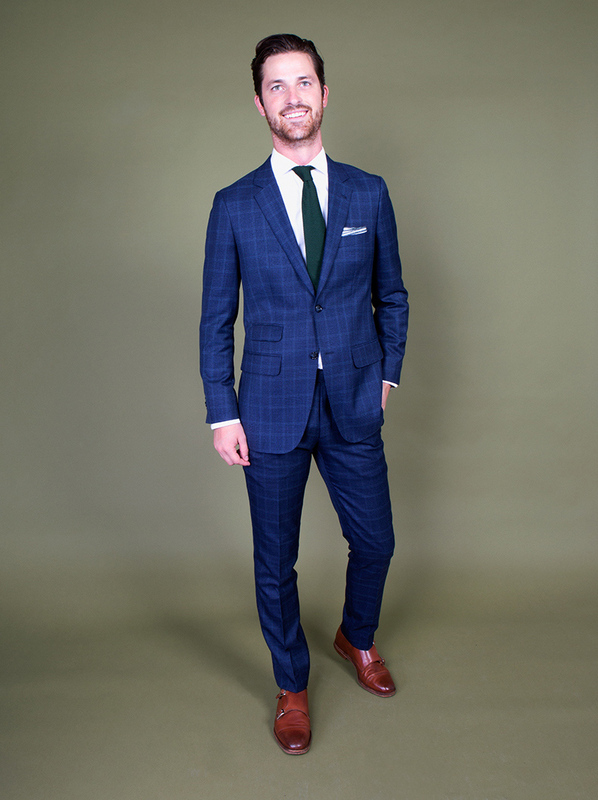 This navy glen plaid suit pairs well with a dark purple tie because they’re both cool-toned colors. 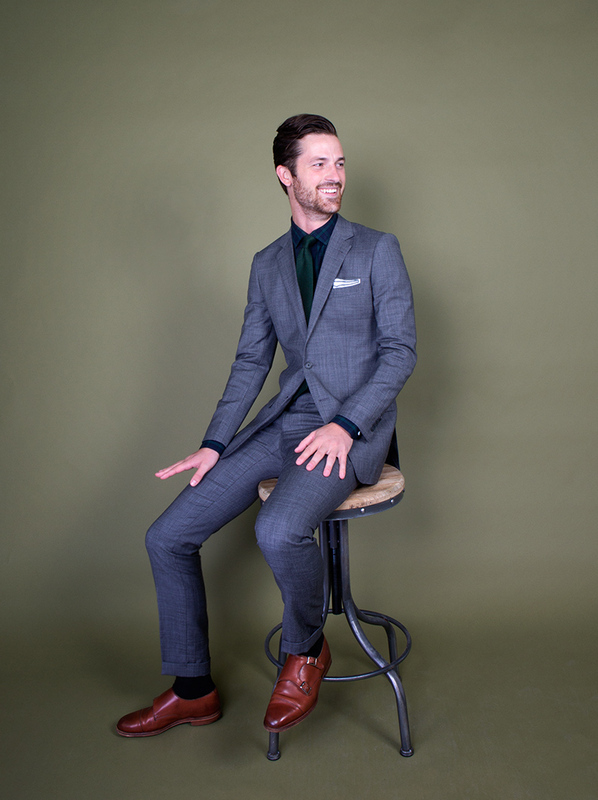 A patterned suit and striped shirt work together when their colors complement but don’t match – grey, copper and white. The size of the shirt pattern is also essential. If you wear two patterns side-by-side, they should be different sizes, like a small herringbone and a medium stripe. A glen plaid pattern is a refreshing break from the standard navy suit, but it never goes out of style. To keep it looking sharp, choose the simplest accessories. 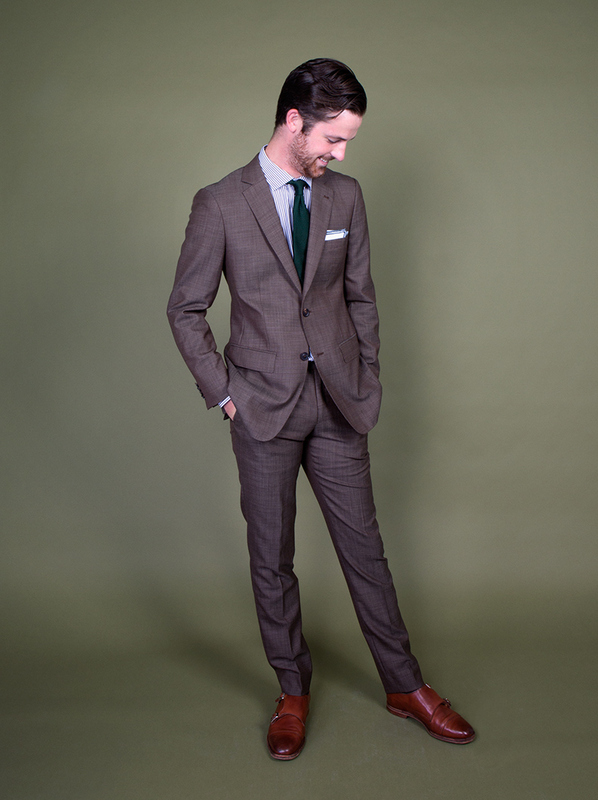 A solid green tie and green-lined pocket square bring out the suit’s undertones. 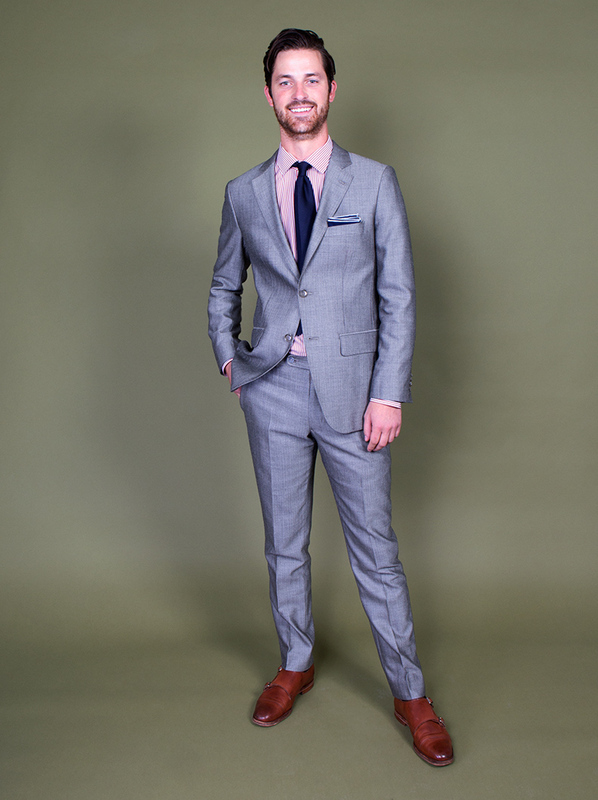 At first glance, a nailhead suit looks like a solid color. You can wear it with truly any shirt and tie. Here, a black striped shirt adds pattern to the outfit, while a green tie adds color. A brown sport coat and jeans make for an effortless weekend outfit. Because the coat is dark, it looks best with a light shirt. Keep it casual with an open collar, or dress it up by adding a tie. These layers pair well because the tie stripes are larger, the suit plaid is mid-sized, and the shirt houndstooth is small. The suit vest adds dimension and makes the outfit more formal. 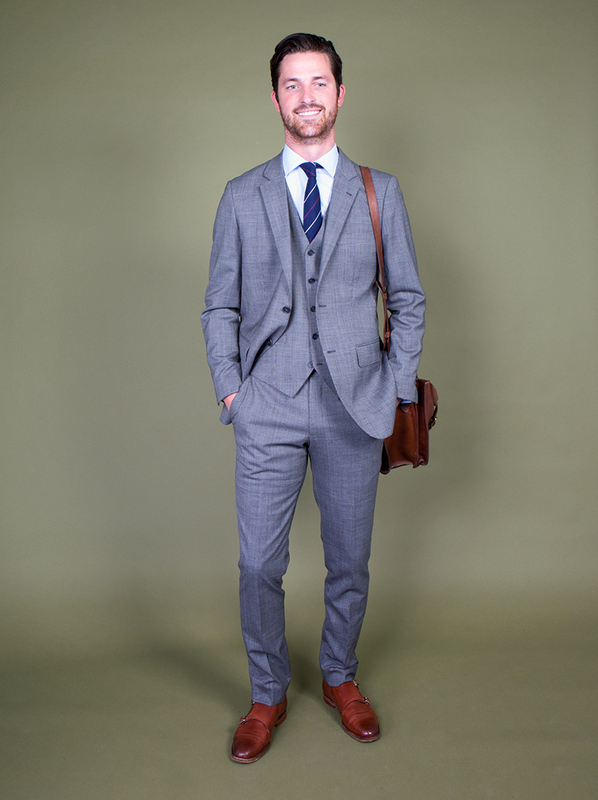 A double-breasted suit is more formal than a traditional suit, but it still flatters every body type. Because the suit’s houndstooth pattern has red undertones, a red tie and burgundy pocket square keep the outfit in the same color family. 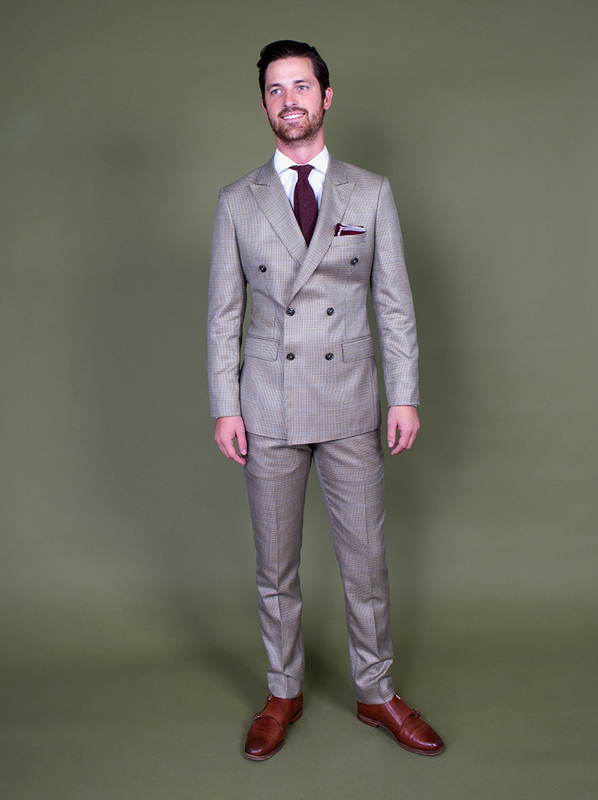 Nailhead fabric updates a standard navy suit. Its unique texture resists wrinkles and has a subtle pattern. 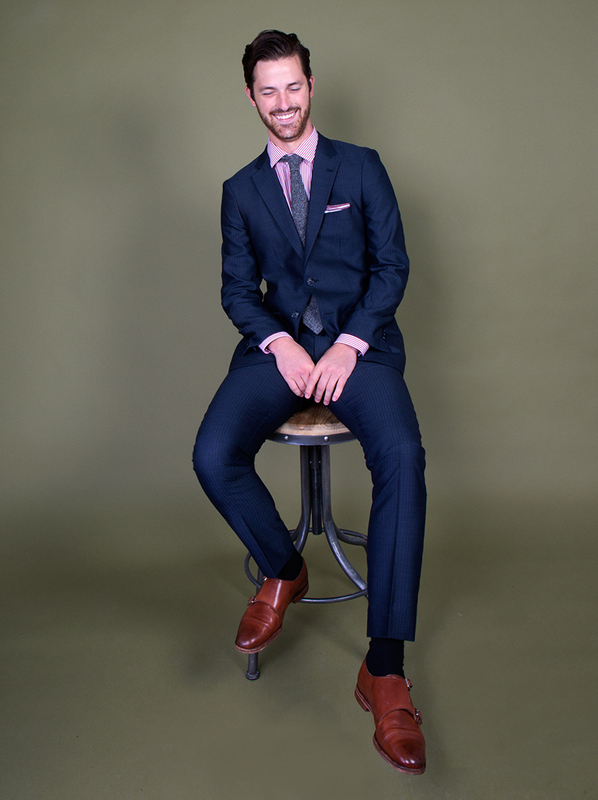 In this outfit, a striped shirt mimics the suit’s faint stripes, while a solid tie and pocket square add contrast.